An exhibition of the work of Castlebar born artist Eamonn MacAteer is currently on display in Castlebar Library. In 2013 the artist published his book Drawings of Days Gone By. The book represents a portfolio of his work over a forty year time span. 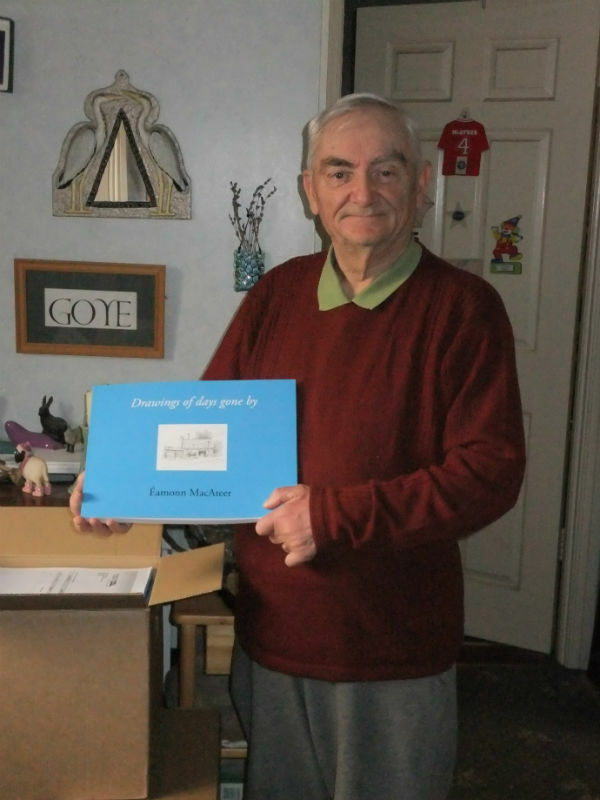 Mr. McAteer who is a retired primary-school teacher started studying landscape painting under Desmond Turner in Belfast. He continued his study of painting and drawing in England, and Florida. From 1981 he has worked as a freelance artist and his works have been exhibited at such venues as the Wexford Opera Festival, the Kilkenny Arts Week, Cork Arts Society Gallery and at the Oireachtas and R.H.A. exhibitions in Dublin. In 1981 he was commissioned to produce a weekly drawing for the Kilkenny Standard. Mr. MacAteer combines pen work with graphite pencil. The drawings in this exhibition have varied subject matter. Mr. MacAteer explains ‘my subject matter has varied from puddles of water to Martello towers. My work has always focused on the historic. The majestic architecture of Kilkenny and the old outhouses of Cavan and the West of Ireland appeal to me equally'.